Basketball Basics: What Do You Need For An Upcoming Season? One of the best things about basketball is that the equipment is very simple. All you need is two "baskets" (which most can find at a park or school) and a ball. However, if you plan on taking your skills to the competitive level, the amount of equipment you need goes up. 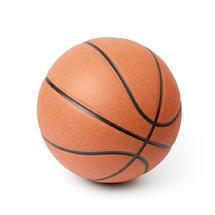 Did you know basketball was originally played with a soccer ball? Not all basketballs are created equal, so it's important to choose a ball that matches the players' age and level of competition. Ages 8 - 12 will usually use a regulation size girls basketball. For younger players an even smaller ball can be used. No matter which park you play at or who's league you play for, each basket consists of a metal rim (18 inches in diameter) with a nylon net hanging from it. All baskets are hung 10ft from the floor. 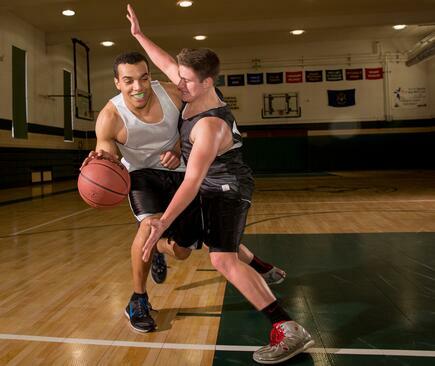 Basketball is a game of close quartered contact where flying elbows to the face are pretty common. It sees the highest number of dental injuries among all varsity sports. 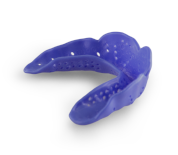 While mouth guards are not required, they are highly recommended by the American Dental Association. Keep eyes and glasses protected from flying elbows and stray fingers. Players who wear glasses should consider prescription goggles or goggles that go over the glasses. Players should wear a loose-fitting uniform to allow them to move freely. Jerseys should be sleeveless so arms or legs aren't restricted. To prevent injuries, players should wear shoes that provide proper support. Each type of shoe has their pros and cons. Shoes with a high-top cut are the most popular among basketball players because they provide a high level of ankle support. The shoe extends beyond the ankles, but as a result, they can be heavier with the added material. Shoes with a mid-top cut rise just below the ankle. It lacks ankle support, but it helps players run faster as the ankle can move freely.